School divisions make choices to best serve the students in their jurisdiction. Within the Regular Education Program there are three course options: provincially developed, locally developed, and locally modifed. Locally Developed Courses of Study are developed by school divisions and are approved by the Ministry of Education. Courses must contain objectives defined by the school division and be at a level of rigour consistent with provincially developed courses of study. Locally Developed Courses are developed to meet local needs that are not met by provincially developed curricula and, typically, are not in the Required Areas of Study. Locally Developed Courses will only be approved as unspecified electives. Locally Developed Courses become the property of the Ministry of Education upon approval. 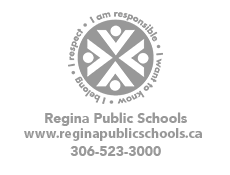 A list of Locally Developed Courses approved for offering in all Regina Public Schools is provided below. A list of Locally Developed Courses approved for offering in specific Regina Public Schools is provided below.